In a sample of almost 100,000 6th- to 12-grade students who completed the survey Search Institute Profiles of Student Life- Attitudes and Behaviors, only a quarter consider their school to have a positive climate. The scoring of asset #5, caring school climate, is based on three statements students respond to on the survey: "My teachers really care about me," "Students in my school care about me," and "I get a lot of encouragement at my school." "When a community runs the survey, school staff are often dismayed to see that school climate comes out so low, because it's an area they put a lot of effort into," says Judy Taccogna, director/education sector at Search Institute. "But a positive first step schools can take to help understand what the students are saying in the survey is to ask the students." Many times, Taccogna says, it's a lack of positive peer interaction that brings the numbers down. Fortunately, improving school climate is an accessible entry point for infusing assets into education. For some schools, a low score on asset #5 is serving as a creative impetus, galvanizing educators to rethink how they nurture youth-and encouraging students to re-examine how they support one another. "What I hear is that students drop out of school not because of drugs or violence, but because they feel like nobody knows they're there," says Twin-Cities-based Mark Scharenbroich, a keynote speaker at national Search Institute conferences who has visited many schools across North America. It's not that teachers aren't connecting with students every day, says Seattle-based Search Institute trainer Clay Roberts. It's just that they typically reach out more to some students "and that leaves kids out," he says. "The goal is to connect intentionally with more kids. When you do that, things change." But it's not just up to the teachers either. "All adult staff members, whether a custodian or bus driver, need to ask themselves what can they do," Roberts says. "How do you take your game to the next level?" At Worthington High School in Worthington, Minn., even community adults have gotten into the act. Every Thursday morning, Bernice and Don Camery, along with six other senior citizens, flank the school's doors to greet students. "We give them a warm welcome and a friendly smile and offer them a basket of candy," Bernice Camery says. "We're there, we're older, we speak to them and care about them. They look forward to Thursday morning." Such ongoing efforts by teachers and other school adults help produce a visibly different school climate, says Scharenbroich. "In some schools, you look at the kids and smile, and they keep walking. Some say, 'Why are you smiling at me? he says. "But when they smile back, that's a sign that the adults in that school really connect to the kids." And for adults to connect with kids, they need first to value themselves. One quick way to evaluate school climate, Scharenbroich says, is to take a peek into the teachers' lounge. Is it an inviting space where teachers would want to gather, or just a room filled with "garage-sale furniture and nothing but a union notice on the bulletin board"? But a welcoming school atmosphere is not something adults can achieve entirely on their own. Students also need to do their part to set a friendly tone and notice one another. Char Demulling, one of 800 students at New Richmond High School in New Richmond, Wisc., says, "I love being able to walk down the hallway and know nearly everyone's name." How has the senior accomplished that feat? By delivering birthday cards to students. Demulling is also a member of the peertutoring group SPARK, or Supportive Peers As Resources for Knowledge. At New Richmond High, being part of that caring culture has become cool. "Friends will do what their friends are doing," Demulling says. "If you get one, you get the whole group." It's critical that the opportunity to serve and be seen as a resource is available to all students-not just the brightest or the most successful. As Kelly Curtis, a New Richmond guidance counselor, says, "Some SPARK members are incredible leaders and some are not. We use them both. They're all seen as valuable members of the school community." For schools to become a supportive setting for all students requires rethinking some traditions. The usual pep rally, for example, is no longer sufficient if schools wish to recognize the strength in every student. "A lot of schools have been celebrity-based high schools," Scharenbroich says, "where the kid that has the most going for him gets all the attention." Scharenbroich offers an alternative vision of what a school might look like: imagine hand prints on the walls with the names of each member of the senior class, an academic hall of fame that includes "most improved" students, a distinguished alumni installation, and student murals that welcome guests. Or imagine, as art specialist Rebecca Gray did, a monumentally ambitious project that all the 750 children at James 1. Gibson Elementary School in Henderson, Nev., could participate in. Imagine a two-acre soft sculpture fashioned out of 25,000 articles of used clothing into the shape of a child! Gray was literally encouraging her students to think big as they embarked on an entire curriculum that tickled their creativity, challenged their brains, and served their community. It felt "remarkable," says fifthgrader Erika Mox, "because it's kind of hard to pull off something that's that huge, but I knew we could do it." The feeling of setting a seemingly unattainable goal, and then going through all the steps necessary to actually meet it, was tremendously energizing and affirming for the students. For two months the students prepared, collecting clothing and putting their math skills to use plotting out the entire composition. They wrote essays. They studied artists who pioneered ephemeral works such as Robert Smithson and Andy Goldsworthy. Crop artist Stan Herd sent notes to the children via email. The actual construction of the sculpture took place over a frenzied three days. Ultimately, all the clothes, along with 800 cans of soup, were donated to a local homeless shelter. The project captivated the community, bred school pride, and encouraged the participating youth to stretch themselves. As fifth-grader Ben Ross said when the project was completed, "I was a little shocked and a little sad. It was like, 'The sky's the limit."' And did the children at Gibson Elementary School hit the sky? Ben Ross says yes. So there are inspirational murals on the walls and teachers are out in the hallway schmoozing with kids during class breaks. Does that really help children better learn how to read and write? According to Search Institute Senior Fellow Peter C. Scales, a caring environment can help students feel capable of meeting high standards. Scales co-authored a 1999 review of data from more than 800 scientific studies and analyzed Search Institute data (Developmental Assets: A Synthesis of the Scientific Research on Adolescent Development, available from Search Institute). "Among the assets that affect school success, one of the strongest relationships occurs between a caring school climate and school engagement," Scales writes in the October 1999 issue of Middle Ground magazine. "in other words, young people who believe teachers care about them, that students care about each other, and that all of them will get a lot of encouragement at school are much less likely to come unprepared to class or to frequently feel bored. And those engaged students get better grades." Schools interested in fostering a more welcoming atmosphere can investigate the following resources, which emphasize dimensions of school climate that are consistent with asset building. Coalition of Essential Schools sees challenging curriculum and reinvigorated teacher-student relationships as the means to a positive school climate. 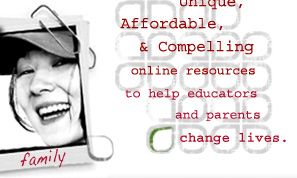 This national network of schools offers resources and training. Visit http://www.essentialschools.org. As part of the overall Comer School Development Program, the Yale University Child Study Center offers school climate surveys for elementary and middle schools, high schools, staff, and parents. See links under school climate at http://info.med.yale.edu/comerlwelcome.html. Jostens Renaissance, founded in 1988, recognizes and rewards academic achievement of students in elementary school through college. A strong emphasis is creating a climate in the school where all young people and staff feel valued and valuable. Visit http://renaissance.jostens.com. Reprinted with permission from Search Institute. By Diane Richard, Climate Change: Caring Schools Heat Up Student Potential, Assets: The Magazine of Ideas for Healthy Communities & Healthy Youth, Spring, 2001, http://www.search-institute.org.